Paul Kelly offers a variety of professional development opportunities for practicing therapists to enhance their knowledge of MAT and bring its benefits to their own clients. Intense two-day workshops focus on teaching hands-on techniques; while on-site mentorships are the best way to advance your skills and learn how to grow your business. Patients suffering from chronic pain find sustained relief through Myoskeletal Alignment Therapy, which offers an alternative to surgical or pharmaceutical options by treating underlying patterns and issues and preventing degeneration. Our trained staff helps patients find sustained relief through Myoskeletal Alignment Therapy | MAT. Our trainers focus on your long-term joint stability, core strength, and mobility and movement patterns to get you stronger, leaner and faster. Regular exercise has been shown to help prevent injury, sickness, anxiety and depression. Membership opportunities are available to help you work toward a healthy, balanced lifestyle. Healthy bodies begin from the inside out. 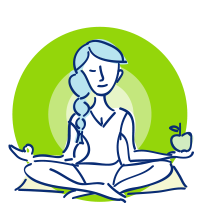 THP offers individual health coaching to help clients meet personalized goals through a holistic approach to self-care. We evaluate exercise and nutrition habits and develop a plan to achieve a variety of desired results such as weight loss, toxin elimination, and overall balanced lifestyles. Therapists from all over the country train in THP’s two-day workshops, focusing on hands-on Myoskeletal Alignment Therapy | MAT techniques that enhance patient assessment and treatment. Paul Kelly | BS, CPT, LMT, MMAT brings two decades of experience in working with a variety of patients, from athletes both in training and with exercise-related injuries to patients. Adolescent bodies change at a rapid pace and require a different approach to strength and conditioning. THP trainers consider the individual athlete and the sport when developing a training regimen. We also offer nutrition programs and coaching designed specifically for young people from kindergarten to high school. THP caters to a variety of clients including those suffering from chronic pain, young athletes, and individuals seeking to maintain or improve overall health. THP trainers routinely work with professional athletes, including Olympic gymnasts and NFL, MLB, and PGA players. We can customize a strenghtening program to fit you and your lifestyle. Our training focuses on creating strength without causing injury. Our certified trainers assess your unique needs and goals to offer sessions that are truly personal. Small groups training sessions or one-on-one settings and are customized to best meet your fitness goals no matter where you are in your journey to strength. THP offers individual health coaching to help you develop a long-term detoxification and cleansing program for a longer, healthier life. Healthy weight loss is not a one-size-fits-all. 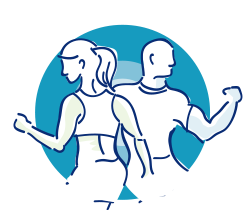 We evaluate exercise and nutrition habits to develop a personal plan for you to achieve an overall balanced lifestyles. For integration therapist, body workers, and massage therapist interested in growing their practice, we offer customized consulting services and intensive mentorship programs. Follow sound business strategy and take the next step in integrating deep-tissue, muscle energy and joint stretching techniques while. The Temple Human Performance is Knoxville’s premier center for human performance and anti-aging through a client-focused approach emphasizing personalized, attentive care. Under the direction of Paul Kelly, THP specializes in Myoskeletal Alignment Therapy (MAT), which helps increase flexibility, improve posture, and decreases pain throughout the body. We offer a holistic approach to improving the body, whether for relief of chronic and debilitating pain, rehabilitating sports and physical injuries, or improving athletic performance.